So you signed up for the Barclay’s Arrival Card after reading my post here. Awesome, thank you (since I get a kick back from it. BTW, I have no idea who signs up, so if you do, let me know so I can say thank you personally). You’ve also met the spending requirement to get you the nice 40,000 points. Great! 1. How do I use these points? You want to click on “Manage Rewards” all the way on the right, where it says how many miles you have. 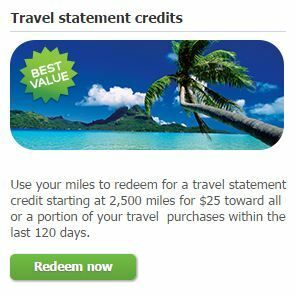 So to use these miles, you would book your travel expense and charge it to your Barclays card as you would any other purchase. Within 120 days of the charge posting to your credit card statement, you would find it as a line item after clicking “Redeem Now“. You’ll then be able to redeem your miles in blocks of 2,500 for $25 or more, for either the entire purchase, or only part of it. It’s completely up to you. 2. What qualifies as a “Travel Purchase” to Barclays? It really depends on how the merchant codes their charge when informing Barclays of your purchase. All major hotels & airlines should qualify without having to second guess the merchant charge code. What about AirBNB? VRBO? Priceline (and other 3rd party booking sites)? I’ll paste the list here. I found it extremely helpful in finding more creative ways to get the full 2.2% back from my card. The list is up to date as of 9/6/14. Spirit of NY Dinner Cruises – www.spiritcruises.com, which have cruises in several other cities as well. Limo Charges – Two limo charges that I made in March PRIOR the the recent changes to what qualifies as “Travel” showed up as eligible travel charges. I guess with the changes to what’s covered, and for how long, these got pulled back in. Description: ZERVE *CA WHALES Merchant Category: THEATRICAL PRODUCERS (EXCEPT MOTION PICTURES), TICKET AGENCIES…Tickets to whale watching tour purchased over the phone. Brazil airline GOL booked online codes as DIRECT MARKETING/DIRECT MARKETERS–NOT ELESWH ..
Skyjump at Stratosphere Hotel LV $150 (01/14) – not charged by hotel. Partial redemptions are possible – however you cannot redeem against that charge again. So if you have a $500 charge and you spend 40K points against it, you cannot redeem 10K points for the remaining $100 of that charge. I highlighted a few of my favorites because they either apply to me, or I think they would apply to my readers. Who wouldn’t like a free $440 in Metrocards, taxi rides, and/or Uber rides from New York? 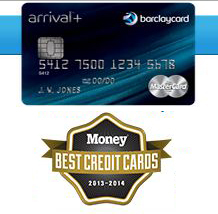 5 Responses to "Barclay’s Arrival Card Travel Purchase, What Qualifies? & How To Redeem"
Nice article Steve. Curious as to the how well are the 40k points ratio for this card if you know versus other cards in comparison. With Barclays, you get the standard 1 cent per point redemption. As a bonus, it meets my requirement for signing up for a new card, which is at least $400 in value. From this card, you’ll get around $440 after the 10% rebate. Will be redeeming my Barclays Arrival points for the Japan Rail Passes I just got and will remember to call in for it! Thanks Steve! Wish I read your site before I tried to redeem a single large purchase twice (due to the 10% rebate).